Loose acc. to GOST 595-79. Production capacity: 2 lines - 30,000 (by design) tons per year. Manufacturer of technologies and equipment: Unionmatex Industrianlagen GmbH and Josef Meissner GmbH & Co, Germany. Products can be manufactured in accordance with standard specification. Changes to the technical and quality parameters may be introduced if ordered by client. 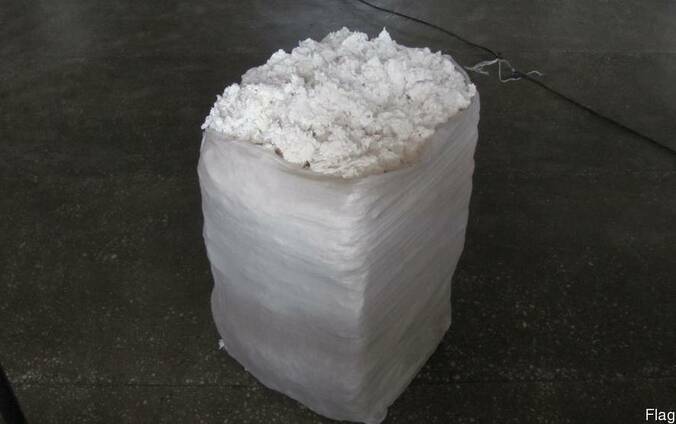 The cotton cellulose is the raw material for production of nitrocellulose (dialdehyde cellulose, cellulose triacetate) carboxymethylcellulose and other simple and compound ethers, as well as for cosmetic, pharmaceutical (high hydrophilic cellulose absorbents, tampons, disposable linens, towels, napkins, toilet paper, hydrogels-diapers, medicines, cosmetic products, dressing materials, haemostatic cellulose powders, dissolving films, surgical sutures), paint, food, construction, chemical (viscose-manmade fibres, cellulose film, film for sausages; acetates-artificial silk, cigarette filters, packaging films, moulding material for eyeglass frames; nitrates-explosives, paints and varnishes) petroleum refining, paper (paper for banknotes, paper with watermarks, cigarette paper, filter cardboard and filter paper, office paper).